Tyra Ferrell was born on 28 January 1962, in Houston, Texas USA, of African-American descent, and is an actress, best known for her parts in the films “Boyz n the Hood”, “Jungle Fever”, “White Men Can’t Jump” and “Poetic Justice”. So just how rich is Tyra Ferrell at present? According to sources, Ferrell has earned a net worth over $1 million, as of 2017, established during her acting career which began in the early 1980s. After completing her high school education, Ferrell moved to New York, where her acting career started on stage, with appearances in Broadway productions such as “Lena Horne: The Lady and Her Music” and “Ain’t Misbehavin”. Her film debut came with the 1981 comedy “So Fine”, and her foray into TV followed in 1985, appearing in the series “Hill Street Blues”. 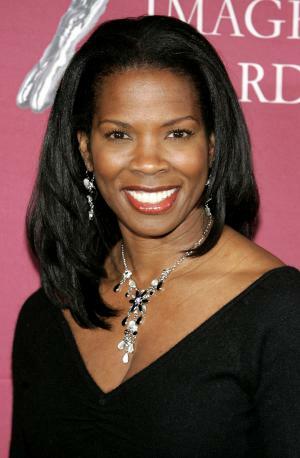 By the end of the decade she had made appearances in films such as “Lady Beware” and “School Daze”, and landed recurring roles in the series “The Bronx Zoo” and “Thirtysomething”, paving her way to recognition and fame, plus her net worth began to grow. The beginning of the following decade brought Ferrell more opportunities on both the big and small screen. As for films, she played Nurse Blaine in the 1991 horror “The Exorcist III”, and then landed the role of Orin Goode in the romantic drama “Jungle Fever” the same year, which greatly contributed to her rising popularity, and to her wealth as well. Later that year she was cast in the supporting role of Brenda Baker in the popular teen drama film “Boyz n the Hood”, reinforcing her status in the acting world and further expanding her net worth. The year 1992 saw the actress playing the lead part as Rhonda Deane in the sports comedy film “White Men Can’t Jump”, and then taking the role of Jessie in the romantic drama “Poetic Justice”. Both projects cemented her reputation of a talented actress, enabling her to earn good money as well. As for television, she had leading roles in the short-lived television series “City” as Wanda Jenkins, and in the science fiction series “The Cape” as Mission Specialist Tamara St. James. She also had a recurring part in the series “ER”, and appeared in several television films, including a recurring role in the popular miniseries “The Corner” in 2000, after which she appeared in series such as “Soul Food” and “Law & Order: Special Victims Unit”, and in the television film “NTSB: The Crash of Flight 323”, which earned her a nomination for the NAACP Image Award. Her net worth grew larger. Her most recent television work was the recurring part as Roxanne Ford in the hit series “Empire” in 2015, as well as an appearance in the series “Tales” in 2017. When it comes to big screen, she reprized her role of Nurse Blaine in the film “The Exorcist III: Legion” in 2016. Speaking about her private life, Ferrell has been married to Don Carlos Jackson since 1992. 1 Listed as one of twelve "Promising New Actors of 1991" in John Willis' Screen World, Vol. 43.